Cut the cauliflower into small florets. Place in a pan and cover with lightly salted water. Bring to the boil and simmer for about 5 minutes or until al dente. Drain well, toss with the butter, cream and plenty of salt and pepper. Preheat the grill to medium high. 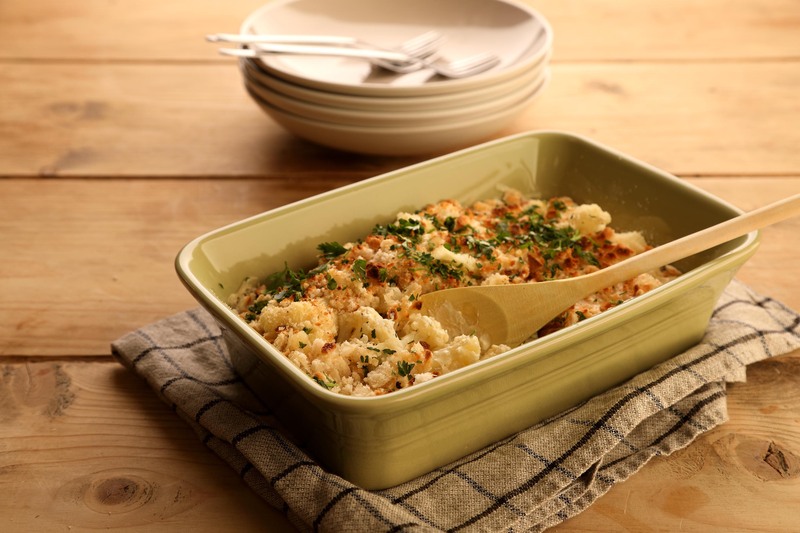 Place the cauliflower florets into a shallow ovenproof dish in which they fit in one layer. Combine the cheese and breadcrumbs and scatter generously over the top. Place under the grill until golden brown and toasted. Serve straight away as an accompaniment.